Zell am See-Kaprun is one of the most beautiful holiday destinations in Austria. Located in the midst of varied mountain landscapes, the region fascinates all year round with its unique combination of glacier, mountain and lake. So this pearl in Salzburg is worth a visit in summer as well as in winter! In summer, the Pinzgauer grass mountains invite you to adventurous hikes. Whether a day trip or a multi-day tour – a breathtaking panorama is just as guaranteed as excellent hospitality on one of the many mountain huts. The natural diversity of the nearby Hohe Tauern National Park can be experienced in the most relaxed way. The Schmittenhöhe, the local mountain of Zell am See, is a family mountain of the highest quality. Hiking trails in all degrees of difficulty offer sensational views for all ages, interesting facts about flora and fauna and works of art that you have probably never seen. Lake Zell impresses with its excellent bathing quality. Three public swimming pools and numerous beaches and bathing spots along the banks offer variety for friends of the cool wet. With the summer card, the entrance to the baths is also free, and a round trip with the MS Schmittenhöhe, the comfortable passenger ship, is included! The old town of Zell am See attracts its visitors with many cafés, restaurants and shops. The historic walls also offer interesting architecture and history much worth knowing. Rosenberg Castle, the parish church and the Vogtturm tower are the three most impressive buildings that can easily be visited by taking a walk into the city center. Great sights are in the immediate vicinity. The high mountain reservoirs in Kaprun are just one of the many highlights. The Krimml Waterfalls, the Großglockner High Alpine Road and the Mittersill National Park Center are also a must for every guest visiting the region in summer. Many of the greatest hotspots are also included in the summer card! Zell am See-Kaprun is, of course, a popular event location due to its scenic beauty. The IronMan 70.3 is a guest at the end of August each year and in 2015, the World Championships took place here. 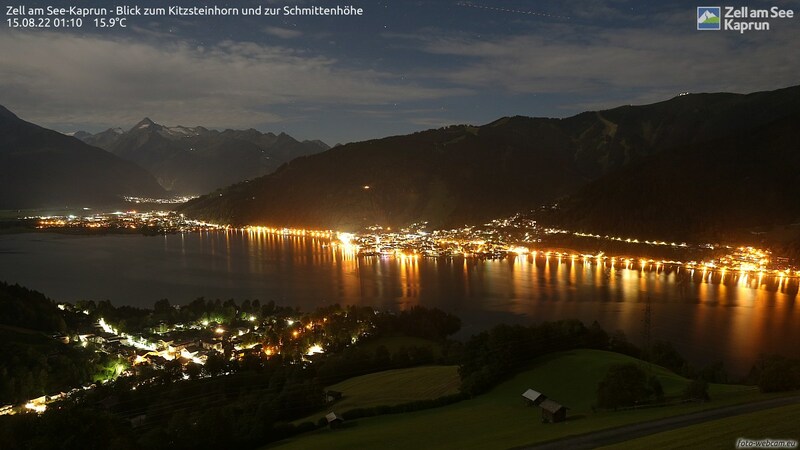 The lake festivals in July and August are traditional and fun - highlights are the fireworks that illuminate the night sky over Lake Zell. Every Wednesday in July and August there is also a lot of hustle and bustle in the center of Zeller, when at the "Zeller Sommernachtsfest" music groups and culinary delights await the visitors. In addition, Zell am See is a popular meeting place for mobiles of all Coleur - whether sports car clubs, Vespa Days or the days of electromobility in the Ionica: the region can be excellently explore on two, three, four or more wheels. The ski resort of Zell am See, the Schmitten, attracts with numerous slopes for all levels of difficulty. Unique are not only the safe snow conditions from early December to April, but above all, the view of the surrounding peaks and the Zeller Lake, which often adorns an ice cover in winter. The Kitzsteinhorn glacier in Kaprun is also close by - a paradise especially for freeriders and touring ski freaks. In Zell am See skiing has been going on for over 100 years, and in 1927 the first cable car of the province of Salzburg was built here. The locals are therefore genuine ski pioneers, and you can tell by the good infrastructure on the mountain, the perfectly groomed slopes and the hospitality on the ski huts! The region also has a lot to offer its guests away from the pistes: horse-drawn sleigh rides, an ice rink, an indoor pool with a sauna, a nearby thermal spa (TauernSpa Kaprun) and, above all, a charming city center with many shops, pubs and bars! Ski touring, snowshoeing and tobogganing - all guests can experience in the most beautiful surroundings. Zell am See is not really a retort ski resort, but a ski destination with a heart that grows with tradition. This is also felt by the guests! The pension directly at the ski slope - in summer as in winter an insider tip! In Pension Margarete you have the opportunity to experience our wonderful region in a warm and comfortable way. And that with all the great attractions right on your doorstep! We are looking forward to your visit! Live view of Zell am See, the Schmittenhöhe and the Kitzsteinhorn!